If today’s youth knew what was between the front and back cover of an old and rare book, they would begin collecting them. A few months ago I began an experiment to see how many steps it would take me to start from $0 and make it to $1000 by finding undervalued or free items and flipping them for a price they were worth comparable to second hand market worths. It was fun. It was exciting. I learned new things in the process. For instance, I discovered the estate sale. In this type of sale the owner, typically older, dies, and you get the handsome reward of liquidating the contents of the house, at discount, so the next buyer can come in and have a blank canvas. My very first estate sale I knew nothing of the process or how it worked, but the person that lived in this particular house in a nice part of New York was a confirmed hoarder. He had books everywhere and there wasn’t a specific concentration of subject matter. This is a true jackpot. Growing up being forced to read (thanks mom, I can write now also) I knew a few things between: the titles of significant culture shapers to the rarity of first editions when combined with age. I began compiling jewels (books) in my own little section (Rookie, I didn’t bring a box with me to put them all in!) that were older than 1950 and were first editions. 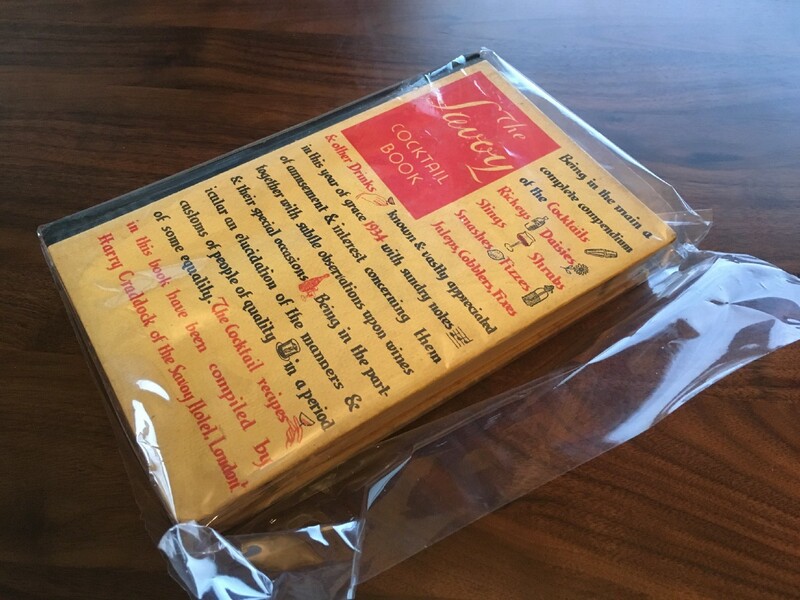 I now own a very old cocktail book from Savoy London that I appreciate tremendously being behind the bar often, John Taffer may be interested. Not realizing all the books were no charge because they’re heavy and who really values books nowadays anyway, I narrowed my selections down to better condition first editions. This got my brain moving a little. And then a lot. Being as loosely-tightly calculated as I am… I ran quick math in my head. Calculating all sorts of things from what is the mark up value on an old book, how often would an old book sell, who buys the old book, does condition matter, how do I sell an old book, the age of the people dying in these homes will be the last to have any books from their great grandparents dating before the 1800’s and after this they’ll be gone forever, I live in a cosmopolitan area where people that work in the city and make millions of dollars — leave to come home at night in beautiful Westchester County… and affluent people read, have book collections! Yes. All of these things went through my head on a 10 minute ride home. There is no “wasted” thought time in my life. I needed more. More estate sales. More books. I’m looking for the $100,000 book. And they’re out there. There are plenty of them — and they won’t be for long. I’m a 32 year old male that understands the generation right below me started getting overly sucked into their phones and scrolling through instagram in the masses. They buy kindles because they are much lighter in weight and can store 100 books on them. But the thing that people don’t realize is that nothing can replace the feeling of flipping the actual page in a book; a true sense of accomplishment. The smell that an old book has after sitting on the bookshelf for some time… And the crazy thing is, as these kids, and the parents of these kids, throw out the books their parents left behind — they don’t realize that they are tossing away a potentially very valuable asset. I opened an Amazon sellers account without knowing how else to sell a book. I photographed every book I listed and descriptively included all information about books as similar did collector websites. I have no idea what I’m doing… but I’m going to sell you this goddamn book. I’m going to be so clear in the description that I will not get a single return. Some time went on. I didn’t sell one book for the first 3 months. I’ve now sold 8 books at an average price of $27 a book. I expect this number to begin ramping up faster as I plan to expand the amount of books offered (currently there are 79 books sku’s uploaded), and I have now become Amazon Prime badged as my shipping speeds were 2 days within ordering. I’ve generated $215 thus far selling books, that I received for free, at a going rate to the rest of the market. We as a neglectful generation, are ever increasing the rarity of old first edition books. They end up in embers or in the landfill making all their other printed (at the same time) counterparts even more tough to find — creating a higher value. I have a very strong feeling in two generations very old and rare books will be worth a substantial amount of money as we continue to phase out “non-digital” readings. Feel free to ask me how you can get going in resale. Find an extremely rare book with no idea what to do with it? Ask. Above a link to some of the old rare books I currently hold or have listed through Amazon. Search the “Collectibles” section to find my listings.